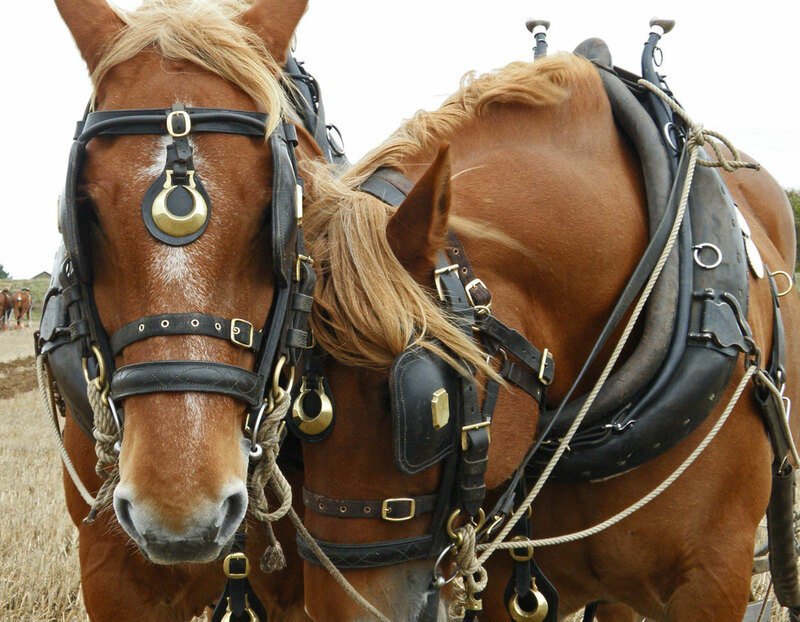 Discover one of the oldest draft breeds still in existence. Life in Tudor England wasn’t easy. Most people worked hard and ate little, toiling in fields and struggling to grow enough food to survive. Some of these poor farmers were fortunate enough to own work animals such as oxen, whose job it was to till the soil while also providing milk, and ultimately meat. But not everyone in Tudor England was poor. A small group of elite farmers retained large tracts of land, where they grew wheat and cotton. They lived in big houses, wore fine clothes, and worked their land with the finest animals: draft horses bred for both beauty and strength. This was life at the time of the Suffolk Punch’s creation. In a 1586 book entitled Britannia, author and historian William Camden describes a horse that sounds just like today’s Suffolk Punch. Bred from European draft horses and native British ponies, this magnificent breed was known in England, but stayed relatively isolated on farms in Norfolk and Suffolk. The word “punch” is said to be an Old English term referencing the breed’s stout, solid build. 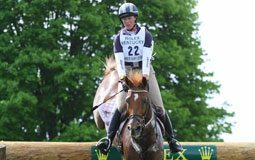 The first breeding records ever kept on the Suffolk Punch date back to 1880, when a stallion named Crisp’s Horse of Ufford was designated as the breed’s foundation sire. The Suffolk’s first registry, the Suffolk Horse Society, was founded in England in 1877, making it one of the oldest draft breeds still in existence. North American farmers soon learned of this special breed, and the Suffolk Punch was imported to Canada in 1865, and to the U.S. in 1880. Farms in Ontario, New England and the Midwest embraced the Suffolk Punch for its strength, docile temperament and rugged constitution. In 1907, U.S. breeders formed the American Suffolk Horse Association (ASHA). After World War II, the small family farms that were common in North America began to disappear, while at the same time heavy machinery became the norm on the larger farms that remained. This trend wasn’t limited to North America; the tradition of farming with horses began to die out in Europe, too. As a result, the Suffolk’s numbers began to dwindle, and by the 1950s, the breed had become dangerously rare. In America, the ASHA ceased to function. But those who loved this special breed did not give up, and in 1961, a group of Suffolk breeders gathered together to revive the ASHA. Ten years later, they imported some Suffolks from England to add to the American population. During the financial prosperity of the 1980s, the breed’s numbers started to increase. Since then, the Suffolk has steadily grown in popularity, although the Livestock Breed Conservancy still places them on the “critical” list. The organization estimates that only 600 Suffolks can be found in the U.S. Sadly, in their native country, only 200 Suffolks exist. The Suffolk’s beautiful chesnut color (always referred to by this unique spelling variation), its smaller stature compared to other draft breeds, and its tractable nature make it an ideal horse for small farms. 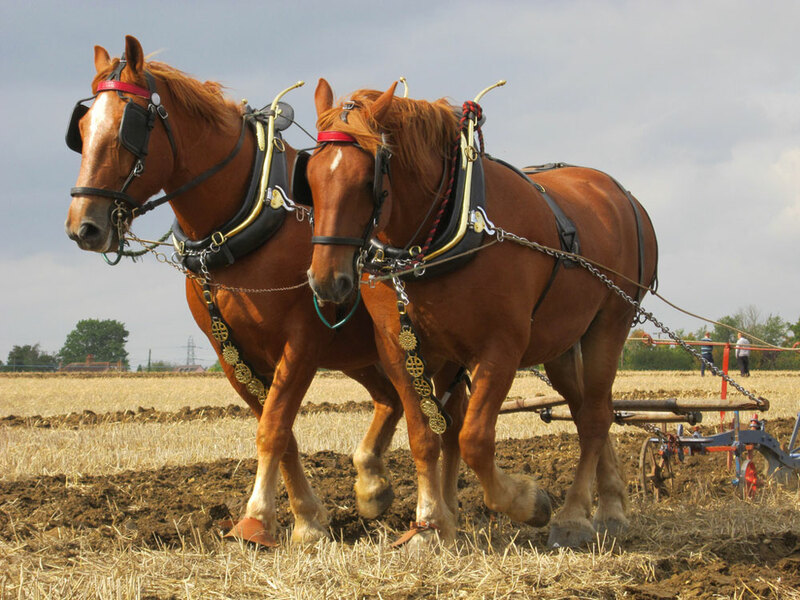 In fact, as the trends in sustainable farming and hobby farms continue to grow, the Suffolk Punch’s popularity is sure to grow as well. Color: The breed’s signature coloring is always referred to as “chesnut,” ranging from light golden to dark liver. Overall Appearance: Symmetrical in shape with dense bone; legs appear short and are strongly muscled, without any feathering. A powerful arching neck; and a short, strong back. For more information, visit the American Suffolk Horse Association at www.suffolkpunch.com.